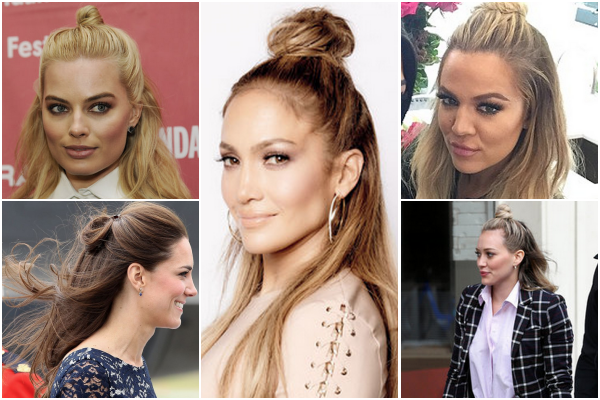 This week everyone has been going crazy for ‘the hun’ aka the half-bun hairstyle. Celebrities all across the globe have been rocking this hairstyle, including Khloe Kardashian, Jennifer Lopez to even Kate Middleton. I decided to recreate this look for this week’s video and was inspired by Khloe K’s wavy and more messed up style. I loved this look on Khloe, the waves are great for summer and it just looks so effortless. It is also such an easy look to recreate, it takes minutes and a perfect one to keep your hair all off your face in the summer heat. So go on, why not do ‘the hun’!